Added on 20 March 2019 . By Georgia Evans. Now, don’t let the name fool you. First and foremost Farmacy’s CBD High Tea is free from psychoactive substances, let’s get that clear. However, it’s also free from dairy, refined sugars, additives and chemicals, making it pretty nutritious. 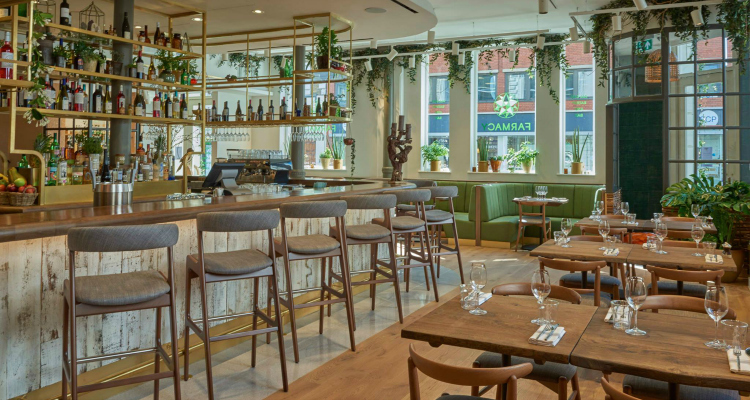 Since they’ve claimed the title of London’s first restaurant to serve cannabidiol, I felt it necessary to check out what Farmacy have done with the cannabis-derived superfood and what their afternoon tea (£42 per person) could do for my consistently below-average level of health. Farmacy is a bloggers paradise, with its Scandi vibes, botanical decor and hippie charm, without the snobbery of a place that knows it's beautiful. As Lou Reed and Fleetwood Mac chimed behind us, we settled into our plush green booth and scanned the menu of what promised to be a pretty lengthy dining experience. Farmacy is a lovely place to spend hours grazing on sweet treats. To begin, a CBD infused cocktail, which I was expecting to be a dressed-up overpoweringly earthy brown liquid, oh boy, how I was wrong. The R&R was a rose-infused, raspberry-tinged delight that had subtle drops of CBD oil dotted around the glass. 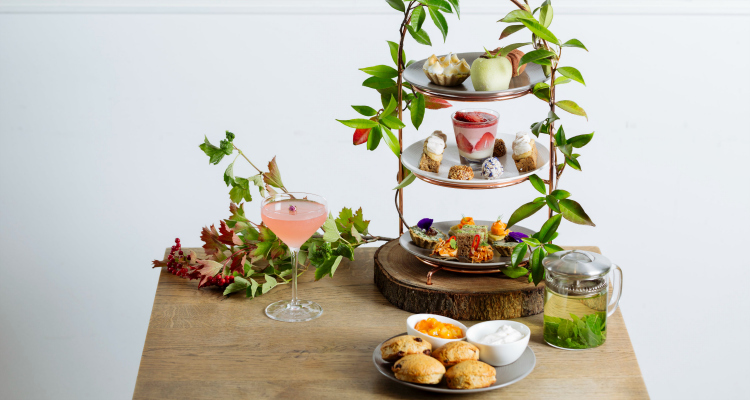 We were then swiftly presented with three florally-adorned tiers of sweet and savoury canapes, served with miniature scones with coconut cream and jam, hemp tea and a CBD shot. Having never experienced an afternoon tea before (no, seriously) I was pretty amazed by how darn beautiful it looked, and happily snapped some Insta content before tucking in. Kicking off with the cucumber and pea sandwich, I was surprised by how they had creamed the cucumber to contrast perfectly with the sweetness of the pea and fluffy sourdough it was served upon. I was also blown away with how the smoked carrot, chickpea blini and dill replicated the flavour of smoked salmon and cream cheese. The CBD High Tea is as pretty as a picture. When it comes to the sweet stuff, the Farmacy apple is a marvellous creation, combining apple and coconut and dipping into a glaze to create a miniature treat that tasted divine. The delicately light scones may have caused a domestic (who puts jam first?!) but they were equally enticing, as were the mouthwateringly decadent tahini and dark chocolate CBD truffles that we managed to squeeze in before trudging back home with full bellies. Farmacy offers a uniquely healthy approach to afternoon tea, giving you heaps of fresh eats that not only look beautiful but taste incredible too. While I’m not entirely sure that it made any major improvements to my health, I did feel pretty darn good after eating my weight in cakes.